J. Michael Armstrong, Chief Executive Officer of Community Hope, Inc.
Parsippany, NJ – J. Michael Armstrong, Chief Executive Officer of Community Hope, Inc., has been named to serve on the newly-launched Community Advisory Group of the Federal Reserve Bank of New York. The Advisory Group is composed of leaders of nonprofit and community organizations representing the Fed’s Second District. According to the Federal Reserve, the Committee will provide a real-time view of the issues faced by a diverse set of communities across its district. 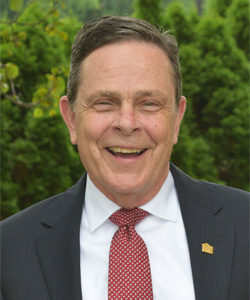 “It is an honor to serve with this prestigious institution by bringing the perspective of the economy’s impact on those we serve, particularly veterans and former military families who are very much affected by economic conditions as they transition from the military to the civilian sector,” said Mr. Armstrong, whose agency is the leading nonprofit in New Jersey and eastern PA serving veteran households struggling with homelessness, poverty, mental health issues and addiction.